"It is a jihad for the sake of God and will last until (our) religion prevails... from Spain to Iraq... We will attack everywhere." Ynet.com reports... Palestinian President Mahmoud Abbas said Thursday that the release of Gilad Shalit, the Israel corporal abducted in Gaza, could be "imminent." "I believe almost every Republican will be supporting" Bolton in the Senate, and "you're going to have a surprising number of Democrats supporting him because of his record" of "courage, intelligence and eloquence," said Morton Klein, president of the Zionist Organization of America (ZOA). Coalition forces from Combined Joint Task Force 76 responded to a helicopter crash that killed at least a dozen people yesterday in the rugged mountains of Afghanistan's Paktia province, military officials here reported. A Russian-made Mi 8 helicopter, owned by the Afghan government, crashed in the Qalandar Mountains near the Khost border. Initial reports indicate between 12 and 16 people were killed, officials said. Spc. Andrew Velez, 22, of Lubbock, Texas, died on July 25 in Sharona, Afghanistan, from a non-combat related injury. Velez was assigned to the Corps Support Battalion, Theater Support Command, Fort Irwin, Calif. This incident is under investigation. Media with questions about this soldier can contact the Fort Irwin public affairs office at (760) 380-3078. Staff Sgt. Christopher W. Swanson, 25, of Rose Haven, Md., died on July 22 in Ar Ramadi, Iraq, of injuries sustained when his patrol encountered enemy forces small arms fire. Swanson was assigned to the 2nd Battalion, 6th Infantry Regiment, 1st Armored Division, Baumholder, Germany. Media with questions about this soldier can contact 1st Armored Division public affairs office at 011-49-611-705-4862. Saddam Hussein did not appear in court for the final session of his trial today. "I can inform the Israeli people that we are advancing very well. We have many operational successes but this is not something that can be timed. I can inform that we successfully hurt many terrorists and terror infrastructures. We must have patience. The homefront has patience, we have patience, and the press as well must maintain patience. We continue our operations, and work according to an organized plan to distance the Hezbollah from the northern border as much as possible, and to allow the citizens of the north to live in quiet. 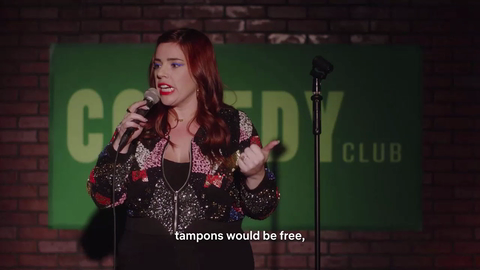 and the IDF will execute it accordingly." The U.S. military today performed its final scheduled evacuation of U.S. citizens from Lebanon, a U.S. military spokesman in Cyprus said. 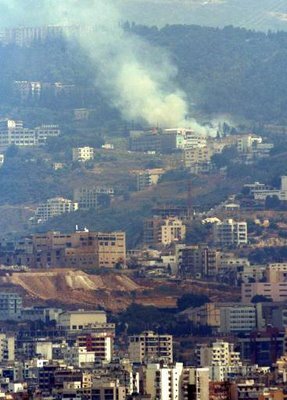 The military has worked with the U.S. State Department and the governments of Turkey and Cyprus for the past 10 days to evacuate U.S. citizens from Lebanon, which has suffered extensive damage in 15 days of conflict between Israel and Lebanese Hezbollah militants. 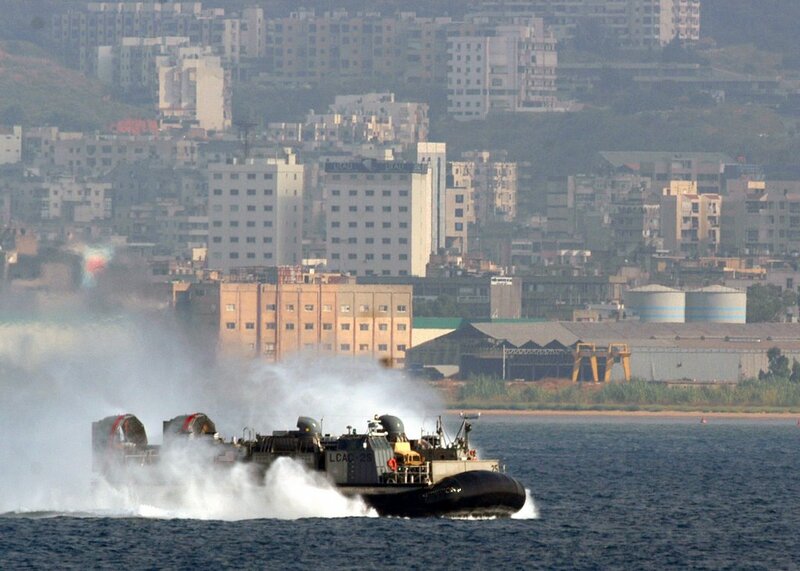 The military has evacuated almost 14,000 U.S. citizens from Lebanon, Marine Brig. Gen. Carl B. Jensen, commander of Task Force 59, said in a news conference via satellite. The U.S. Embassy in Beirut estimates that the vast majority of U.S. citizens wishing to leave Lebanon have now been evacuated, Jensen said. Why Didn’t Kofi Annan Order Peacekeepers to Leave? The Sheba Medical Center in Tel Hashomer has transferred former prime minister Ariel Sharon to an intensive care unit, after finding a germ in his blood. The hospital said Sharon's condition continues to be serious but stable. CAMP FALLUJAH, Iraq – Marines from Regimental Combat Team 5’s, 1st Battalion, 25th Marine Regiment, and soldiers from 2nd and 4th Brigade, 1st Iraqi Army Division, rescued three Iraqi hostages in an intelligence-driven operation July 23. The three were held captive by al-Qaeda insurgents in a spiderhole complex for 27 days. The hostages were beaten with electrical cords, bitten and threatened with their lives at gunpoint by their captors. They were treated by Coalition Forces medical personnel. Regimental Combat Team 5, partnered with Iraqi Security Force units, is currently conducting counter-insurgency and security operations in the greater Fallujah area. BALAD – Iraqi Army forces conducted a pre-dawn raid in Baghdad on July 25, capturing six targeted insurgents, all of whom are believed to be involved in ‘death squad’ activities. Iraqi forces also seized two AK-47 assault rifles, one pistol, and one set of body armor. 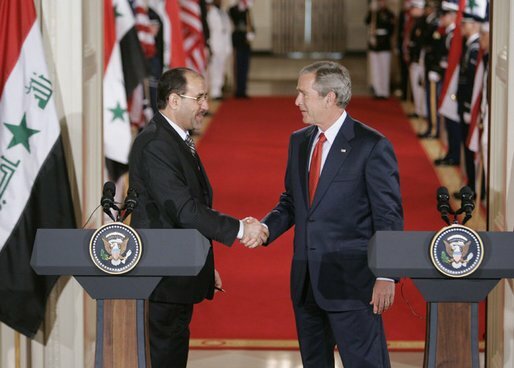 The operation occurred without incident; there were no Iraqi or coalition force casualties. Spc. Dennis K. Samson Jr., 24, of Hesperia, Mich., died on July 24 in Taqaddum, Iraq, of injuries sustained by enemy small arms fire. Samson was assigned to 1st Battalion, 506th Infantry Regiment, 101st Airborne Division, Fort Campbell, Ky.
Sgt. David M. Hierholzer, 27, of Lewisburg, Tenn., died on July 24 in Pesch, Afghanistan, of injuries sustained when his platoon encountered enemy forces small arms fire. Hierholzer was assigned to the 1st Battalion, 32nd Infantry Regiment, 3rd Brigade Combat Team, 10th Mountain Division, Fort Drum, N.Y.
A thinner but still combative Saddam Hussein appeared at his trial today for the first time since his hunger strike and asked to be executed by firing squad if the court sentences him to death. I am shocked and deeply distressed by the apparently deliberate targeting by Israeli Defense Forces of a United Nations observer post in southern Lebanon that has killed two United Nations military observers, with two more feared dead. This coordinated artillery and aerial attack on a long established and clearly marked United Nations post at Khiyam occurred despite personal assurances given to me by Prime Minister Ehud Olmert that United Nations positions would be spared Israeli fire. Furthermore, General Alain Pelligrini, the United Nations Force Commander in south Lebanon, had been in repeated contact with Israeli officers throughout the day on Tuesday, stressing the need to protect that particular United Nations position from attack. I call on the Government of Israel to conduct a full investigation into this very disturbing incident, and demand that any further attack on United Nations positions and personnel must stop. The names and nationalities of those killed are being withheld pending notification of their families. I extend sincere condolences to the families of our fallen peacekeepers. > Egypt and Saudi Arabia, facing popular anger over Israel's offensive in Lebanon, toughened their stance on Tuesday, warning the United States that Israeli militarism could lead to a wider conflict in the region... "Saudi Arabia warns everybody that if the peace option fails because of Israeli arrogance, there will be no other option but war..."
> Short Note: Approximately 100 Hezbollah Rockets hit northern Israel Tuesday. Places hit include Haifa, Kiryat Shmona, Safed, Acre, Nahariya and Tiberias. Haifa was again rained down on by rocket attacks today with at least seven rockets hitting inside the city. One rocket hit a bus and two more were said to have struck near a hospital injuring five. A rocket was also said to have hit a house in Haifa today but thankfully no one was injured. Sadly though, one man was reported to have died of a heart attack while running for a bomb shelter. The leader of Hezbollah has threatened a new phase in the war with Israel and said his fighters will not accept any "humiliating" conditions for a ceasefire. 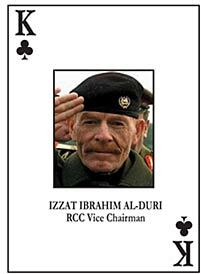 Izzat Ibrahim al-Douri, the highest-ranking figure from Saddam's regime still at large and the "king of clubs" on the most wanted list, said Saddam blundered by having his army confront the U.S.-led invasion instead of holding it in reserve to fight a guerrilla war, but he said the old army has bounced back. A SURFACE LOW PRESSURE AREA CENTERED OVER SOUTHERN TEXAS BETWEEN EDINBURG AND HARLINGEN IS MOVING NORTHWARD AT 5 TO 10 MPH. THIS SYSTEM IS GENERATING A LARGE AREA OF SHOWERS... THUNDERSTORMS AND STRONG GUSTY WINDS IN SQUALLS OVER PORTIONS OF THE WESTERN GULF OF MEXICO AND THE ADJACENT COASTAL AREAS. UPPER-LEVEL WINDS HAVE BECOME SOMEWHAT MORE FAVORABLE FOR A TROPICAL DEPRESSION TO DEVELOP... BUT ONLY IF THE SYSTEM CENTER MOVES OR REFORMS OFFSHORE OVER THE GULF OF MEXICO. REGARDLESS OF WHETHER A TROPICAL CYCLONE FORMS... THIS SYSTEM IS LIKELY TO BRING LOCALLY HEAVY RAINFALL TO PORTIONS OF SOUTHERN TEXAS...THE TEXAS COASTAL BEND REGION AND SOUTHERN LOUISIANA DURING THE NEXT COUPLE OF DAYS. A WESTWARD-MOVING TROPICAL WAVE IS LOCATED ABOUT 550 MILES EAST OF THE LESSER ANTILLES. ALTHOUGH THERE HAS BEEN A SLIGHT INCREASE IN SHOWER ACTIVITY... ANY FURTHER DEVELOPMENT OF THIS SYSTEM SHOULD BE SLOW TO OCCUR. ELSEWHERE... TROPICAL STORM FORMATION IS NOT EXPECTED THROUGH WEDNESDAY. Cpl. Adam J. Fargo, 22, of Ruckersville, Va., died on July 22 in Baghdad, Iraq, of injuries sustained when his convoy encountered enemy forces small arms fire. Fargo was assigned to the 4th Brigade Troop Battalion, 4th Brigade Combat Team, 101st Airborne Division, Fort Campbell, Ky.
Spc. Stephen W. Castner, 27, of Cedarburg, Wis., died on July 24, of injuries sustained when an improvised explosive device detonated near his HMMMV during combat operations in Tallil, Iraq. Castner was assigned to the Army National Guard's 1st Battalion, 121st Field Artillery, Milwaukee, Wis. Coalition forces killed one terrorist, wounded another and detained one associate during a raid north of Balad on the morning of June 24. Today's top quote: "We are going to make Israel not safe for Israelis. There will be no place they are safe." On Sunday, July 23 more than 90 Katyusha missiles were launched at Israel, killing two civilians and wounding dozens more. 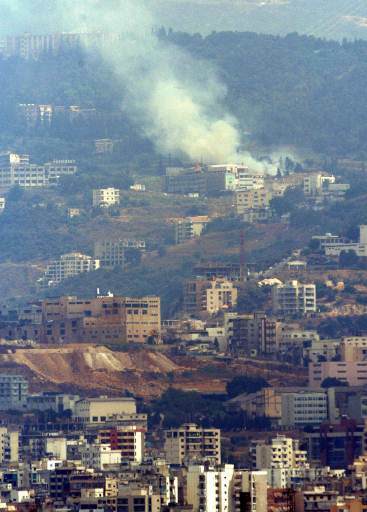 The IDF continues to operate in order to defend the citizens of Israel from the barrage of missiles fired by Hezbollah, which operates from within Lebanese villages, using the local population as human shields. > More than 80 missiles-launching areas. > The Al Manar television station in Beirut that serves the Hezbollah terror organization. > Approximately 20 vehicles suspected of serving the Hezbollah terror organization in the launching of missiles at Israel, and were seen fleeing from or staying at missile-launching areas. > Missiles launchers used to fire missiles at Israel. > Structures serving Hezbollah terrorists for hideout and storage of Hezbollah weaponry. The IDF will continue to use all means at its disposal in order to secure the citizens of Israel against the terror attacks originating from Lebanese territory, and to return the two abducted IDF soldiers, Eldad Regev and Ehud Goldwasser to their homes safely. I’m watching the Fox News Channel and I can tell you it is on right now just inside the boarder of Lebanon. Fox News Correspondent Mike Tobin is reporting HEAVY fighting for a good while now just over the hill from his location and I can hear rapid heavy gun fire going off constantly in the background and lots of smoke everywhere. While watching Fox these last few minutes... I see there was one round of Sirens go off in Haifa but no rockets hit in the City. Then maybe two minutes after that... three rockets hit within the city of Kiryat Shmona and six... hit just outside of town in the hills. Small fires started in and outside of town. No reports of casualties as of yet. Matt has a good post today over at “Blogs For Bush.” It goes in part like this... "I think the main thing is allowing the nomination to come to a vote on the floor of the Senate, and then people can vote how they wish," Bolton said. John's a good man and has done an excellent job in the short time he has been in his position. Especially these last couple of months!!! Here’s a good read from our friends at “The Moderate Voice.” It goes in part as follows... Remember Afghanistan? I won't blame you if you don't. It's hard to see it through the fog of war in Iraq and Lebanon, not to mention through the fall-out of nuclear crisis in Iran and North Korea. Not so long ago, Afghanistan was the focus of much of our attention. After 9/11, the U.S. went in and routed the al Qaeda-friendly Taliban, or at least sent Osama bin Laden, Mullah Omar, and their supporters scurrying into the mountains and across the border into Pakistan, a short war of revenge that was neither lost nor entirely won. Another good read on Afghanistan, from yesterday, can be found at DoD. It goes in part like this... Coalition forces continue to aid and develop Afghanistan, even as they fight back terrorist extremists who are determined to stop progress, U.S. military officials reported today. Iraqi security forces are increasingly taking the lead in operations as Baghdad becomes the focal point in the fight for Iraq, a senior U.S. military officer told reporters today. Iraqi soldiers and police are at the forefront of operations "to make their capital safer, to set the stage for their capital to emerge as a center not of violence and strife, but some day for business and learning, for commerce and for culture," Army Maj. Gen. William B. Caldwell IV said at a Baghdad news briefing. Insurgents have blanketed Baghdad with bombings, murders and kidnappings over the past week and a half as insurgents "seek to uproot democracy and derail the legitimate governance process," Caldwell, spokesman for Multinational Force Iraq, told reporters. Capt. Blake H. Russell, 35, of Forth Worth, Texas died on July 22 of injuries sustained from enemy forces munitions while investigating a possible mortar cache during combat operations in Baghdad, Iraq. Russell was assigned to the Army's 1st Battalion, 502nd Infantry Regiment, 2nd Brigade Combat Team, 101st Airborne Division (Air Assault), Fort Campbell, Ky.
1st Sgt. Christopher C. Rafferty, 37, of Brownsville, Pa., died on July 21 in Sharana, Afghanistan of injuries sustained on July 20, when his unit encountered small arms fire during combat operations. Rafferty was assigned to 37th Engineer Battalion, Fort Bragg, N.C. This incident is under investigation. Media with questions about this soldier can contact the Fort Bragg Public Affairs Office at (910) 396-5600 or (910) 309-2843. Capt. Christopher T. Pate, 29, of Hampstead, N.C., died July 21 while conducting combat operations in Al Anbar province, Iraq. He was assigned to 2nd Air Naval Gunfire Liaison Company, Command Element, II Marine Expeditionary Force, Camp Lejeune, N.C.
Media with questions about this Marine can call the 2nd Marine Expeditionary Force Public Affairs Office at (910) 451-5260 or (910) 451-7200. Today's top quote: “If Israel invades Lebanon over ground and comes near to us, Syria will not sit tight. She will join the conflict.” Said by Syrian Information Minister Mohsen Bilal during an interview today. Let’s get the morning started with a read by IHT.com. Hezbollah rockets badly damaged a house and slammed into a major road in Haifa, 30 miles south of the border, killing two people, and at least 13 others were wounded across northern Israel.